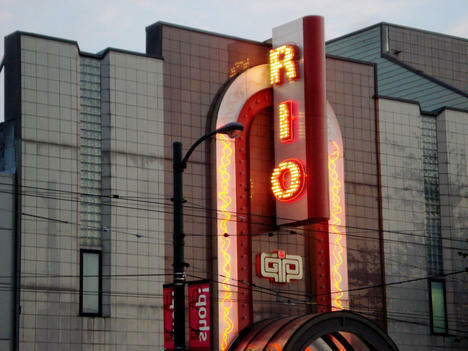 Vancouver City Council voted on Tuesday to petition the BC government to allow the Rio to keep its liquor license and stay open. The venue has not been able to show any films because although its liquor license allows for alcohol at live events, it doesn’t cover the screening of movies. It’s so insane its almost not worth getting enraged about. It’s as if the government needs to do this kind of thing because they can’t just come out and ask for bribes outright in the first place. Oh well. If City Hall can see the light, maybe Victoria can too.